Email marketing can be an incredibly effective way to reach prospects and customers, but it can also be tough to ensure your message is heard. One of the best ways to get your marketing emails opened is writing great subject lines, which is what I’ll discuss in this blog. The first tip to keep in mind is that certain words in your marketing emails may trigger spam filters, meaning your intended recipient may never receive it. The biggest culprit is the word “free,” so try to avoid that word to avoid the spam filter. To avoid the spam filter (or the automatic delete by your recipients), keep these words and similar out of your subject lines. Be specific: You want your readers to know what your email is about, so don’t be vague. Be specific in your subject line—and make sure your email content lives up to your subject line. Keep it concise: I know from my own experience it can be tough to keep subject lines short, but remember that readers are scanning through dozens or even hundreds of messages in their inbox. Make your subject line succinct and captivating. Avoid repeating subject lines: If you send a recurring email such as a newsletter, be creative and use a different subject each time. Recurring subject lines don’t tend to perform as well. Try different approaches: The great thing about email is that it is easy to test out different approaches and get feedback based on open and click rates. Try asking a provoking question or using a quote from the email; test different creative approaches and see what your audience responds to. One way to do this is to use A/B testing to try out multiple options to see which performs better. Another strategy I like to use is resending an email to those who didn’t open my first one, but using a different subject line. Two or three days after your first email is sent, look at your metrics and download the report of anyone who didn’t open your initial email. Then choose a completely different subject line and send to that group; this allows you to reach some additional recipients with a different approach. These are just a few of many possible strategies to improve your email subject lines. What are your favorite tips for success? Share your thoughts below! 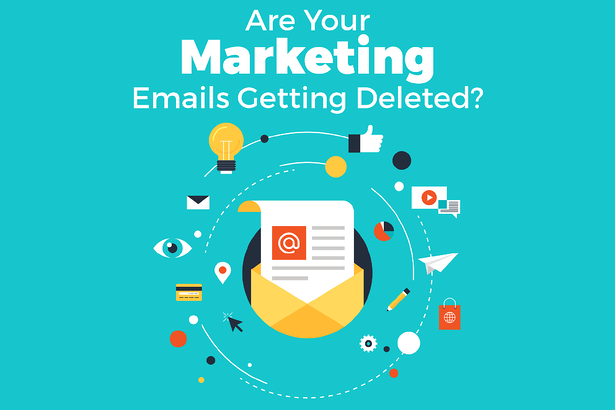 Need help with your marketing emails? Contact Milwaukee email marketing agency, Accelity Marketing.